Renault, PSA/Peugeot-Citroen and Fiat suffered double-digit declines in new-car sales last month as total European volume slumped 9 percent -- the biggest monthly drop in more than a year -- as consumers shied away from major purchases amid a weak economy. 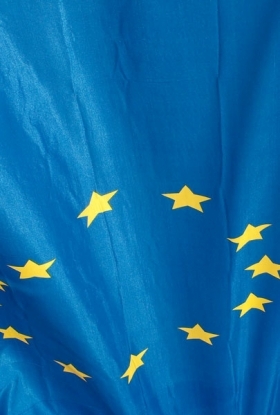 Registrations in February in the EU and EFTA markets fell to 923,381 million from 1,017,100, the fifth consecutive monthly decline, industry association ACEA said today. The decline was the steepest monthly fall since a 16 percent drop in October 2010. Renault's sales, including its Dacia brand, fell 23.7 percent to 86,402. PSA sales were down 16.5 percent to 118,381 while Fiat Group, including the Alfa Romeo and Lancia brands, also dropped 16.5 percent to 66,249. Ford Motor Co. said automakers face "extremely challenging business conditions" as worry about the economy keeps customers out of showrooms. "Industry sales are well below 2011 levels, which itself was a slow year, so we remain very concerned about the market. There is a clearly a strong need for decisive actions to help bolster consumer confidence and improve demand," said Ford of Europe's marketing and sales head Roelant de Waard in a statement. Ford's European sales declined 7.7 percent to 68,245 last month. Rival GM saw sales for Opel and Chevrolet fall 13.6 percent with a 17.3 percent rise at Chevrolet failing to offset a 19 percent drop at Opel. Europe's biggest automaker, Volkswagen Group, which has largely bucked the downward sales trend, suffered a 2.1 percent decline to 220,799 for its brands including, VW, Audi, Skoda and Seat. Registrations in Germany, Europe's largest auto market accounting for almost one in four cars sold in the region, was unchanged at 224,318 registrations. It was the only major market not to decline. Toyota and BMW are predicting a contraction of about 5 percent in Europe this year, the fifth straight annual decline, as the sovereign-debt crisis prompts people to rein in spending. "The French manufacturers are struggling because the French economy is weaker than it was a year ago, and Fiat is being hit by the very weak Italian market," said Jonathon Poskitt, head of European sales forecasting at LMC Automotive in Oxford, England. "The premium brands like BMW and Audi are holding up fairly well, partly because the German economy, where they operate strongly, is outperforming most of western Europe," Poskitt said. Audi's February European sales were down 3 percent to 45,187 vehicles. Mercedes-Benz's volume last month was up 7 percent to 39,620 units while BMW slumped 3 percent in February to 39,905. Renault CEO Carlos Ghosn said March 6 he expects more consolidation among carmakers as "nobody can afford alone the amount of investment required in this industry." Fiat, whose mass-market brands lost about 500 million euros in the region last year, is looking for a partner in Europe to cut costs and share technology as it doesn't see a recovery in the market before 2014. Kia was among winners in February with sales up 31.4 percent to 22,610 units. Sister brand Hyundai saw sales rise 6.1 percent. Jaguar Land Rover volume was up 57 percent, boosted by sales at Land Rover nearly doubling to 3,599.